The location of the hotel and cosiness of the room, all at a very reasonable rate. Lovely view out and the amenities are great especially the kitchenette. A home away from. Home. Very supportive staff. They're all very happy to help. The gym is well equipped and the staff are very helpful and accommodating. The customer service from the reception desk was excellent. They were very polite and helpful. They also went out of their way to help me in the early hours of the morning. Very impressed. Excellent breakfast. Very good service from reception, particularly Claire. Suitable for an overnight if you have business to deal with in that area. Staff is friendly and helpful. 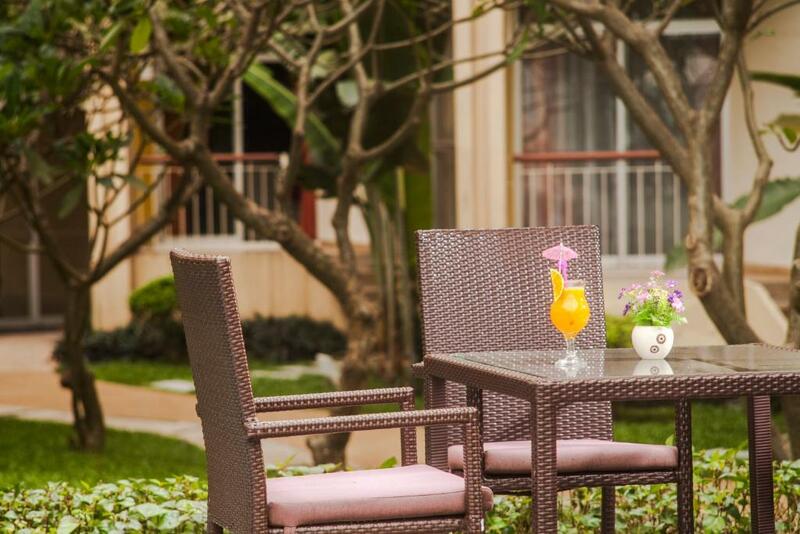 Lock in a great price for Somerset West Lake Hanoi – rated 8.1 by recent guests! 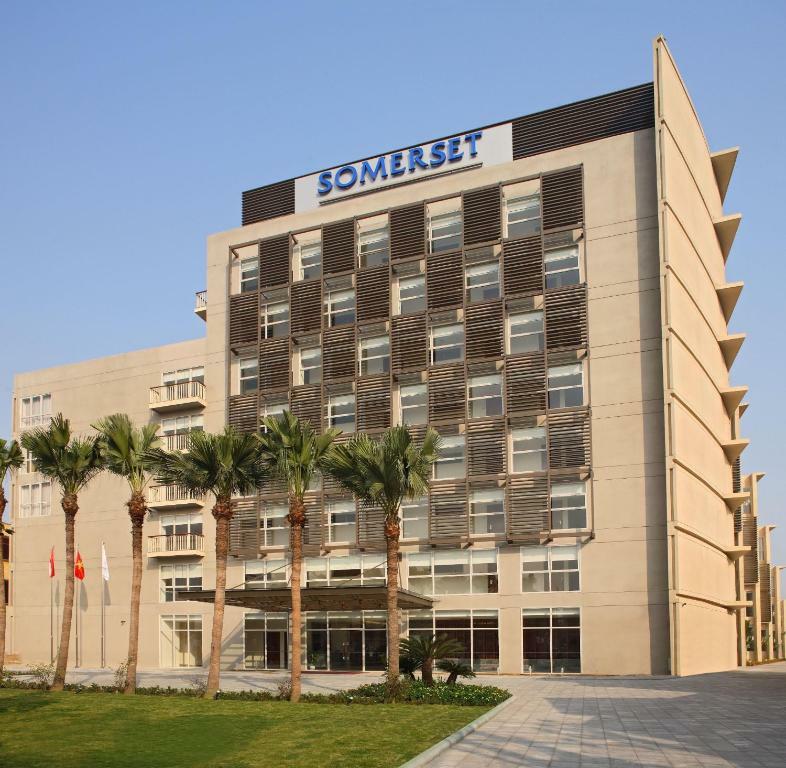 Somerset West Lake Hanoi This rating is a reflection of how the property compares to the industry standard when it comes to price, facilities and services available. It's based on a self-evaluation by the property. Use this rating to help choose your stay! 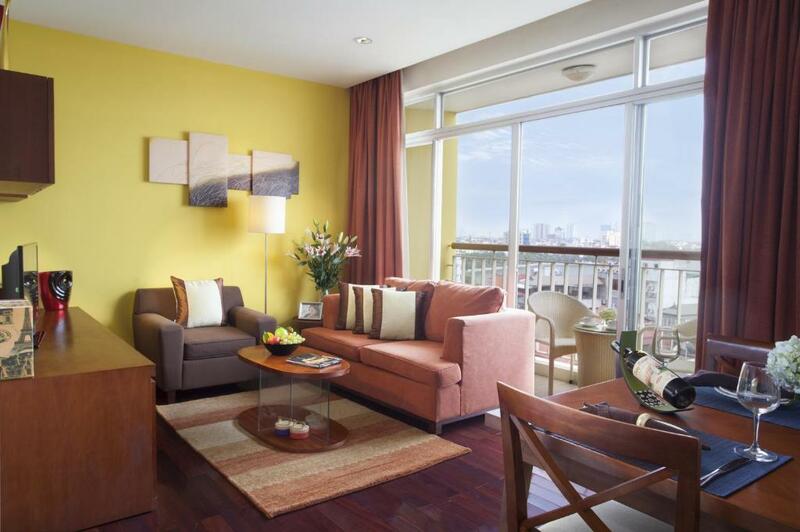 One of our top picks in Hanoi.Somerset West Lake Hanoi offers apartments featuring flat-screen cable TV and fully equipped kitchens. The apartments offer a gym and pool. Free shuttle service is provided to the city center. Somerset West Lake Hanoi is a 20-minute drive from Hanoi Train Station. Noi Bai International Airport is a 40-minute drive away. All apartments offer scenic views of West Lake. 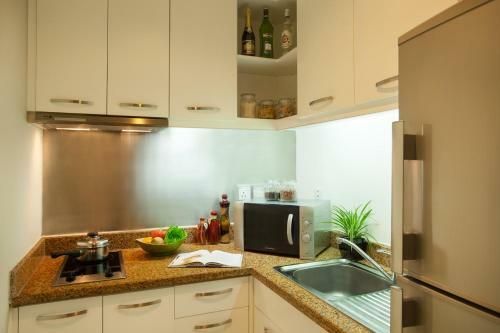 Fully equipped kitchens include kitchenware and a microwave oven. Somerset’s well-equipped apartments have ironing facilities and a full stereo system. Guests can take a walk in the landscaped gardens or head to the residents’ lounge for relaxation. 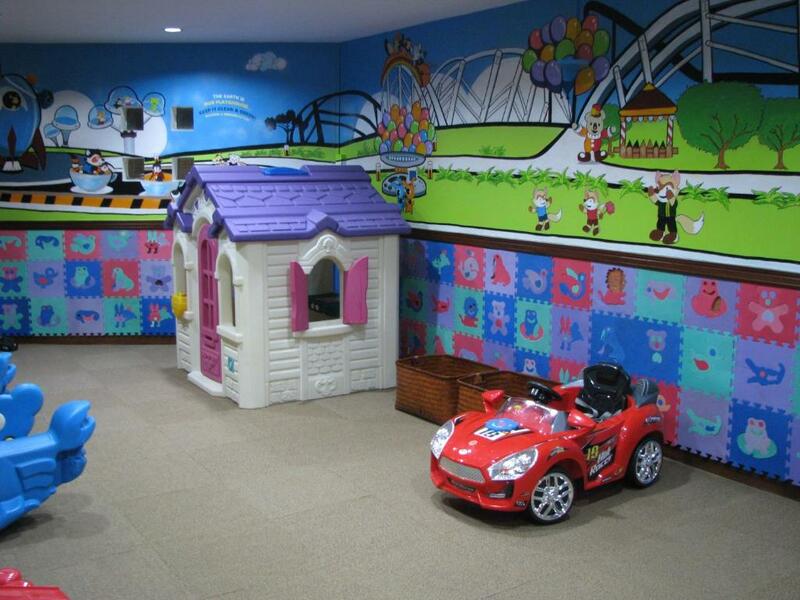 There is a children’s outdoor playground and indoor playroom. A complimentary shuttle bus to the city center is available to all in-house guests. Jason's Workshop Restaurant serves Vietnamese and Western food. Tay Ho is a great choice for travelers interested in history, sightseeing and culture. 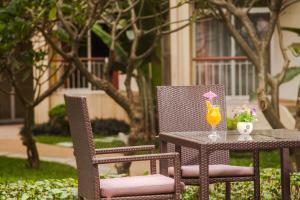 When would you like to stay at Somerset West Lake Hanoi? This studio features a living area, a kitchen, and a bedroom with lake views. Offering a little more space, this studio features a living area, a kitchen, and a bedroom with lake views. One-bedroom apartment features separate living area and kitchen. Two-bedroom apartment with private balcony features separate living area and kitchen. It is also equipped with cable TV and stereo. This air-conditioned two-bedroom deluxe service apartment opens up to views of West Lake. The separate dining area is equipped with dining furniture for four while the living room is fitted with two cable and satellite LCD TVs and a DVD player. It has a fully-equipped kitchen. The two private bathrooms include shower facilities, a hairdryer and free toiletries. Free WiFi is also available. This larger contemporary-style two-bedroom deluxe premier apartment has multi-split air conditioning and features a private balcony that opens up to views of West Lake. The separate dining area is equipped with dining furniture for four while the living room is fitted with two cable and satellite LCD TVs and a DVD player. It has a fully-equipped kitchen. A separate work space with internet access is available. The two private bathrooms include shower facilities, a hairdryer and free toiletries. This larger contemporary-style three-bedroom executive apartment has multi-split air conditioning and features a private open-air terrace that opens up to views of West Lake. The separate dining area is equipped with dining furniture for six while the living room is fitted with two cable and satellite LCD TVs and a DVD player. It has a fully-equipped kitchen. A separate work space with internet access is available. The two private bathrooms include shower facilities, a hairdryer and free toiletries. House Rules Somerset West Lake Hanoi takes special requests – add in the next step! 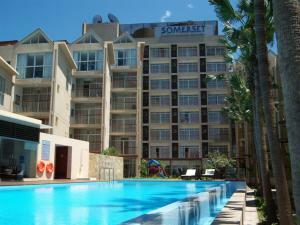 Somerset West Lake Hanoi accepts these cards and reserves the right to temporarily hold an amount prior to arrival. The credit card used to make the booking is required to be presented upon check-in. Rooms are old and the equipment outdated. Phone line has no signal, malfunctioning A/C, weak water pressure.. It’s clean but doesn’t feel clean. Remove the Somerset logo and make it a 3 star with half the price and it’s a fair deal, otherwise it’s just misleading. I thought the view from the room of Westlake would have been better but that was just my hopeful expectation. Difficult to find food in the area unlike old quarter. Nothing much interesting at night unless you travel out. Room was very badly maintained and we had a haunting experience. We checked out after 1 night instead of staying the full reservation. 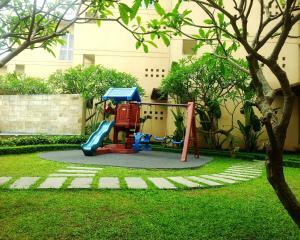 Nice playground and garden. Friendly staff. 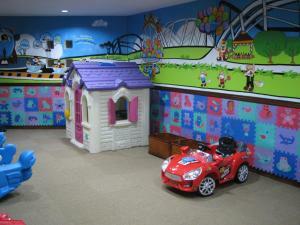 The rooms are a little old and worn, but it's clean and functional overall. Although I booked a room for two nights without any issues, I was informed when I arrived that the same room was not available for two consecutive nights. Hence I had to switch rooms. But the hotel made up for it by giving free breakfast. Apartments were very big and spacious. The apartment was spacious and the breakfast is awesome!